The Interior Department has approved the Cape Wind project, clearing the way for the first offshore wind power in the US. The long-embattled Cape Wind project won federal approval today, marking a major step toward becoming the first US offshore wind-power project and paving the way for a new source of renewable energy for America. For nearly a decade, regulatory battles have pitted residents of Massachusetts’ cape and islands, Indian tribes, and influential politicians against one another and developers of the project. Secretary of the Interior Ken Salazar gave the green light for the project Wednesday at the Massachusetts Statehouse with Gov. Deval Patrick at his side. But Salazar also noted that the project would be scaled back from its original 170 turbines to 130 and undergo special requirements – including requiring additional archeological research offshore to ensure that native sacred areas are protected. The project, which will put the 440-foot-high turbines across a 24-square-mile swath of Nantucket Sound, is expected to provide Massachusetts residents with an average output of about 180 megawatts of power, enough renewable energy to power about 75 percent of the homes on Cape Cod, Martha’s Vineyard, and Nantucket. The elimination of some turbines would reduce the visual impacts from the Kennedy Compound National Historic Landmark, and the array of turbines would be moved farther from Nantucket Island to curb visibility from the Nantucket Historic District. Regarding possible seabed cultural and historic resources, the developer would be required to halt operations and notify the government of any surprise archaeological find. “Impacts to the historic properties can and will be minimized and mitigated, and we will ensure that cultural resources will not be harmed or destroyed during the construction, maintenance, and decommissioning of the project,” Salazar said. A big factor in his decision, Salazar told reporters, was a recent letter by governors of Northeast coastal states, which protested a federal historic panel’s verdict that recommended that the project not be approved. If that advice were followed, the governors noted, most wind project proposals up and down the East Coast probably could not go forward. Researchers at the Political Economy Research Institute (PERI) at the University of Massachusetts Amherst today released the Toxic 100 Air Polluters (http://toxic100.org), an updated list of the top corporate air polluters in the United States. The Toxic 100 Air Polluters index is based on air releases of hundreds of chemicals from industrial facilities across the United States. The rankings take into account not only the quantity of releases, but also the toxicity of chemicals, transport factors such as prevailing winds and height of smokestacks, and the number of people exposed. 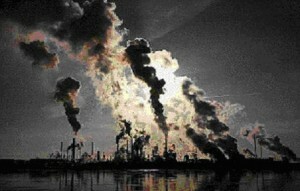 The top five air polluters among large corporations are the Bayer Group, ExxonMobil, Sunoco, DuPont, and Arcelor Mittal. The Toxic 100 Air Polluters rankings have been expanded to include large privately held firms, such as number 10 Koch Industries, as well as the world’s largest publicly traded corporations. For the first time, the Toxic 100 Air Polluters includes information on the disproportionate risk burden from industrial air toxics for minorities and low-income communities. This makes it possible to compare corporations and facilities in terms of their environmental justice performance as well as overall pollution. For example, the data reveal that minorities bear 65% of the air toxics risk from facilities owned by ExxonMobil, while minorities make up 38% of the U.S. population. Users of the web-based Toxic 100 Air Polluters list can view the details behind each company’s Toxic Score, including the names and locations of individual facilities owned by the corporation, the chemicals emitted by those facilities, and the share of the Toxic Score borne by minorities and people living below the poverty line. The new edition also provides access to this information on all firms operating in the United States, regardless of size. Several smaller firms rank as big air polluters, topped by the Marietta, Ohio, facility of the French-owned Eramet Group and Houston-based Quality Electric Steel Castings LP. Raw TRI data are reported in total pounds of chemicals, without taking into account differences in toxicity. Pound-for-pound, some chemicals are up to ten million times more hazardous than others. TRI data do not consider the numbers of people affected by toxic releases–for example, the difference between facilities upwind from densely-populated urban areas and those located far from population centers. TRI data are reported on a facility-by-facility basis, without combining plants owned by one corporation to get a picture of overall corporate performance. The Toxic 100 Air Polluters index tackles all three problems by using the 2006 Risk-Screening Environmental Indicators (RSEI) data, the most recent available from the EPA. In addition to TRI data, RSEI includes toxicity weights and population exposure. PERI researchers added up facility-by-facility RSEI data released by the EPA to construct corporate rankings. 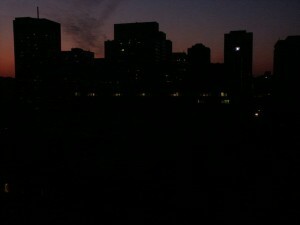 The devastating drought in the southwest is forcing once-a-week blackouts at Dongguan factories due to power shortages from the nation’s hydroelectric dams. Since April 1, Hong Kong manufacturers say power supplies have been suspended one day each week in Dongguan, and some expect the mandatory rationing will spread to industrial towns in Shenzhen. Several factory owners said they were left with little choice but to generate their own electricity through diesel-powered generators, a dirtier and more expensive alternative. Some warned that the supply crunch could balloon into a crisis next month, when the peak-production season begins. This would exacerbate recent challenges such as labour shortages, soaring raw material costs and wages, a possible appreciation in the yuan and weak demand in the United States and Europe. To keep production lines moving, Yeung, who is also vice-chairman of toy exporter Blue Box Holdings, said the company’s factory in Dongguan was forced to produce its own electricity, which cost 30 per cent more than power from the state supplier. He estimated that higher fuel costs, together with about a 21 per cent rise in the minimum monthly wage in Dongguan to 920 yuan (HK$1,046.70) and at least a 20 per cent jump in prices of plastics and paper-packaging materials, would in turn jack up overall operating costs by 5 per cent. This would erode the factory’s wafer-thin profit margin, he said. “We are trying to pass the extra costs on to customers, but so far they are bargaining extremely hard,” Yeung said. The once-in-a-century drought ravaging Yunnan, Guangxi and Sichuan provinces has hobbled hydropower plants, which have reduced electricity supplies to Guangdong by about 23 per cent in the first three months of this year. Electricity from the western provinces supplies about one-third of Guangdong’s power needs. The Guangdong provincial government placed priority on supply to residential users, and discouraged consumption by energy-consuming industries such as electroplating and cement and steel production. The province signed agreements last month with Hong Kong supplier CLP Power (SEHK: 0002), which will export more power across the border, particularly in summer. Wilson Shea Kai-chuen, a premium product manufacturer in Dalong in Shenzhen and vice-chairman of the Hong Kong Small and Medium Enterprises Association, said he expected compulsory power blackouts would begin in a few weeks, when the busy season begins. He said that on April 1, state supplier China Southern Grid recommended factories in Dalong suspend operations a day every week or minimise power consumption. Dennis Ng Wang-pun, the managing director of exporter Polaris Jewellery, said electricity supply in Panyu in Guangdong remained normal but warned that the electricity crunch would come on top of labour shortages. His factory in Panyu, which has about 400 workers processing jewellery, was still short of about 100 workers, Ng said. He said new orders improved in the first quarter from the same period last year, at the height of the global financial crisis, but shoppers’ appetite remained weak. “I don’t see a marked improvement in demand in the US until the second half,” he added. I refer to the article concerning the plans by power firms’ CL Power and Hongkong Electric (SEHK: 0006) to pump HK$10 billion into offshore wind farms (“Clearly inadequate”, March 14). I have to question the wisdom of these proposals. Not content with defacing Lamma with the Hongkong Electric power plant which was constructed in the 1980s, these companies now want to despoil great tracts of sea near some of Hong Kong’s beautiful outlying islands with gigantic wind farms – one between Lamma and Cheung Chau and the other off Sai Kung. As the article effectively confirmed, the economics concerning these options just do not make sense: “So, for about HK$10 billion, the two wind farms would produce at best about 1.5 per cent of Hong Kong’s electricity and reduce its carbon dioxide emissions by less than 2 per cent.” Therefore, they will do little to make the city greener or its skies cleaner and they will have a negligible effect on the city’s carbon footprint and air quality. 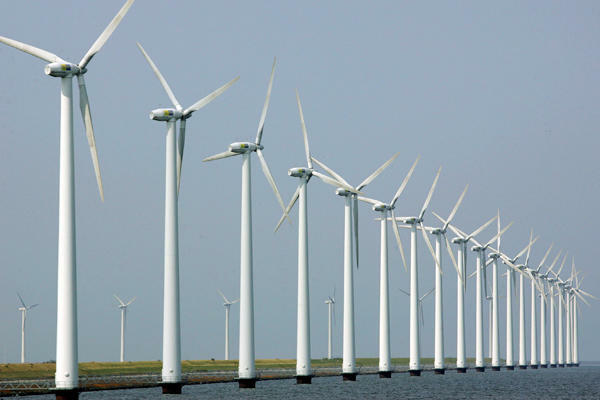 If it really is necessary to satisfy the political desire to meet the 2005 report produced by the Council for Sustainable Development for 1 to 2 per cent of Hong Kong’s electricity to be generated by renewable energy by 2012 by focusing on the wind farm method, then a more appropriate location for locating the wind farms should be chosen. Somewhere such as, for example, the southwestern coast of the New Territories where the existing power stations of Black Point and Castle Peak are located may work. Even wind turbines around Castle Peak itself may be more of an acceptable eyesore than ruining the view near Lamma, Cheung Chau and Sai Kung. 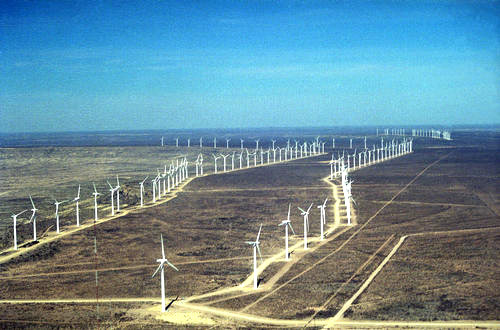 A far better solution is to ditch the idea of wind farms altogether. With the cleanest power from an air pollution perspective being nuclear, we should instead source what Hong Kong needs from the mainland’s future nuclear power stations that the central government plans to build. What is required is a leap of imagination. Unfortunately it is not to be found with the wind farm proposals that have been put forward.